People looking for boat loans know that it can get quite difficult to find low-interest financing these days, mainly because there are a number of restrictions when it comes to boat financing. Lenders are very conservative and strict about a boat’s age, model, and even its location, in order to reduce their financial risk in case a borrower defaults on their loan. Because of this, there is a huge limit to the type of boats that actually qualify for traditional financing. Many borrowers face this problem. That is why we have created this guide to help future boat owners find the perfect boat loan for them. Today, there’s a new way to finance your boat and this alternative is available from peer to peer lending sites. What these new lenders do is connect borrowers to individual investors. Investors are then able to contribute as little as $25 to the loan amount, which minimizes their risk. The borrower can then apply online and receive quick approval decision. Instead of leaving their loan approval in the hands of a loan officer, it’s the individual investors that decide if the boat loan is a good investment or not. Borrowers who have struggled with boat financing may have already found out there are so many restrictions when it comes to traditional boat financing. For example, lenders will only finance specific types of boats, including many conditions which limit what the boat loan can be used for. These traditional boat lenders will only finance recent model recreational boats. In addition, they would also require the boat, the seller, and the buyer to all be within the Continental United States. Because of these restrictions, many potential boat owners are left without a financing option. Today, however, peer to peer lending sites offer borrowers boat financing terms without limits on use. Boaters can receive a $50,000 personal loan from a social lending platform, which will help them buy the boat they’ve only dreamt of before. When applying for standard boat financing, borrowers have to be prepared. They should be able to provide all the required information during the application process. Lenders use the boat specifications when evaluating the borrower’s default rate as well as the potential risk. Compared to traditional bank loans that require information about the type and age of the boat being bought, peer to peer lending does not require the borrower to supply this. However, the borrower can voluntarily give details they want that they believe will increase their chances of getting approved. 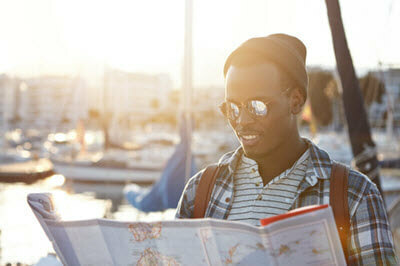 Typically, borrowers look for boat financing not just once but during various points in within the buying process. For example, there’s financing available for a boat purchase within 60 days of getting approved for a loan. At times, lenders also offer pre-approval application for borrowers who are just starting their search for their new boat, and they plan on buying it within the next 60 to 90 days. One more popular option for boat owners is refinancing their current loan so they get a lower interest rate and better terms. Regardless of the type of financing the borrower is looking for, the bottom line is they should be prepared with the details of their planned boat purchase. Borrowers who are looking to quickly buy their next boat may find that boat financing approvals may take aggravatingly long. As discussed earlier, there is a better boat financing option for them, from peer to peer lending sites. Boat owners all over the country have enjoyed the benefits of social lending, especially because of the lack of restrictions on use, as well as the attractively low interest rates. 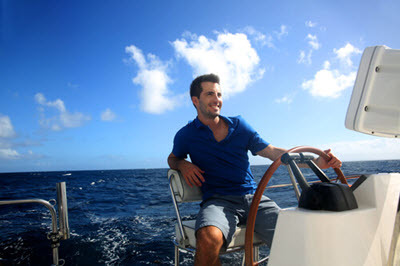 Using these unsecured personal loans when buying a boat can help borrowers achieve the life they want right away. As with any major purchase, borrowers are of course encouraged to first review their financial situation before applying for boat loans (or any other major loans, for that matter). As mentioned previously, boating finance is complicated. Because boats experience such rapid depreciation, it can be hard to get financing from traditional lenders. If you have bad credit, it can be even harder. 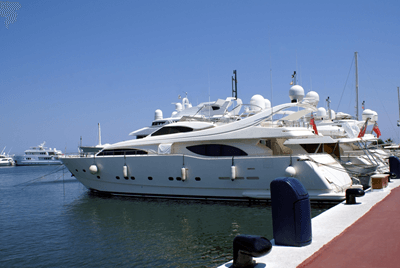 But attaining boating finance with bad credit isn’t impossible – there are many new lenders in the market that have begun lending to individuals with bad credit. Your credit rating will impact the interest rate that you receive, but it won’t necessarily rule you out of the equation. Traditional lenders will be much less inclined to give you any capital if you have bad credit. They have long, complicated loan processes that make it next to impossible to get the financing you need if you’re not the perfect applicant. But online lenders have changed the game. They’re willing to take many more risks with borrowers because they are able to cut out a lot of the costs associated with brick-and-mortar lenders. Many of the lenders we suggest on this page offer bad credit boat loans to their clients. While the amount you can borrow will vary by lender, don’t hesitate to apply for their financing if you need capital for a boat loan. We’ve listed their lending requirements on this page.